The South Australian Open Day is a fantastic opportunity for the community to come together and meet others with the condition. 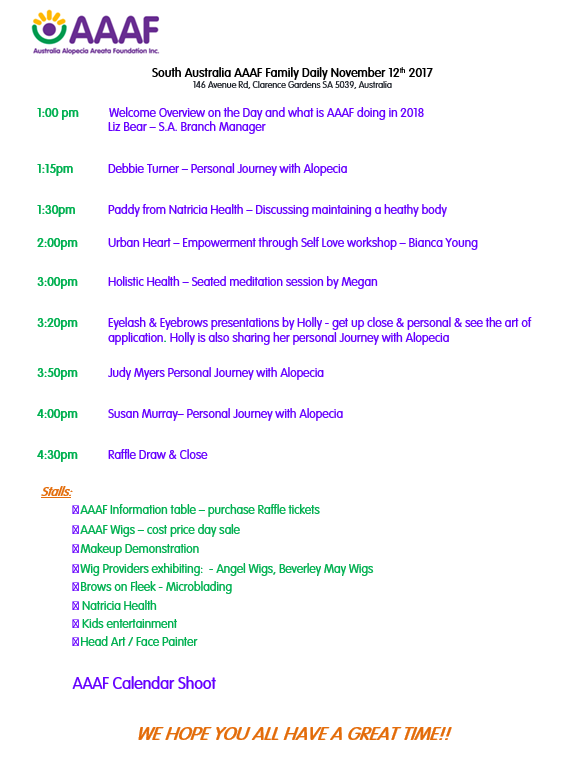 Part of Alopecia Areata Awareness Week, our Open Days are always a highlight of our calendar. You will be able to hear from industry experts, see displays of products and services and meet your local AAAF team members.